Every week leading up to the 3rd Annual Little Black Dress Night, we’ll feature a member of Young Women’s Leadership Society. 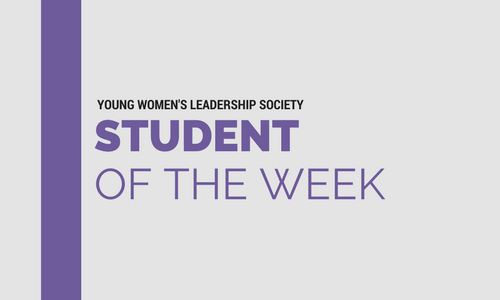 This week, we’re featuring Rodnisha, a dedicated YWLS senior. Rodnisha is a senior at ChiTech Academy. 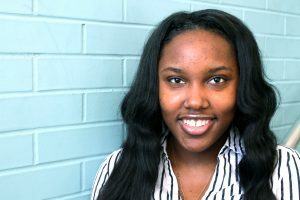 She came to ChiTech after grammar school because her friends enrolled, but has since realized she’s found a home at ChiTech. Rodnisha appreciates the networking opportunities she gets through YWLS and telling others about her future plans. She encourages young women to join YWLS to learn how to stay positive and never give up. 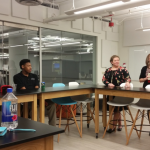 Her favorite YWLS memory was the college campuses tour, because she got to leave Chicago for the first time and be with her friends along the way. Creative, outgoing and flamboyant, Rodnisha plans to enroll at Central Michigan University after graduating from ChiTech to study business and entrepreneurship. Rodnisha’s friends describe her as funny and smart. Her role model is Tyra Banks because she admires how she built her career. Rodnisha lives in the Lawndale neighborhood of Chicago. 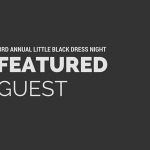 Be sure to register for the 3rd Annual Little Black Dress Night. You can also learn more about YWLS here.